Print the Vegan Minestrone Soup recipe here! Happy Monday and welcome back to the work week. Today I'm sharing an incredibly delicious, hearty, and healthy soup recipe that is Whole 30, Paleo, and Vegan. You can easily add beans or meat to it if your nutrition plan allows for it, but I found that the soup was very filling without it. It made 4 bowls so depending on your appetite it can serve 2 to 4 servings. Heat the olive oil in a large sauce pan over medium high heat. When the oil is hot, add the onions, carrots, and potatoes. Cook until the onions are translucent, 5-7 minutes. Add in the minced garlic, red pepper flakes, and oregano. You may add in the salt & pepper now or wait. Stir the mixture well to combine and cook for about 1 minute. Add in diced red tomatoes, vegetable stock, and water. Mix in bay leaves and cook for another 15 minutes. Add in the shredded Brussels sprouts and cook for another 5 minutes. While the soup is cooking, wash the zucchini and cut off the ends to create a flat surface. 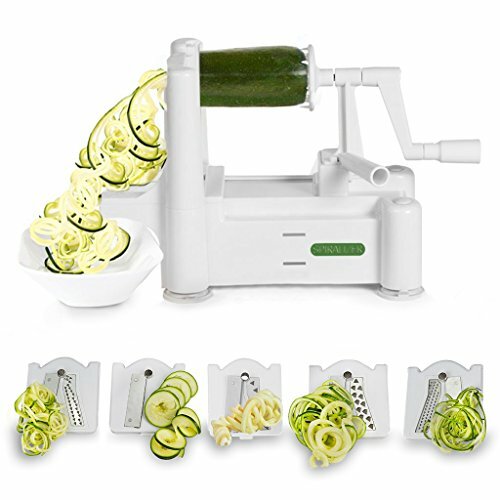 Place the zucchini on the Spiralizer, using the blade of your choice, and turn the handle to create "noodles". I used the flat ribbon blade option (I think it's blade A). Cut the pile of noodles 3-4 times to shorten the length of the noodles. 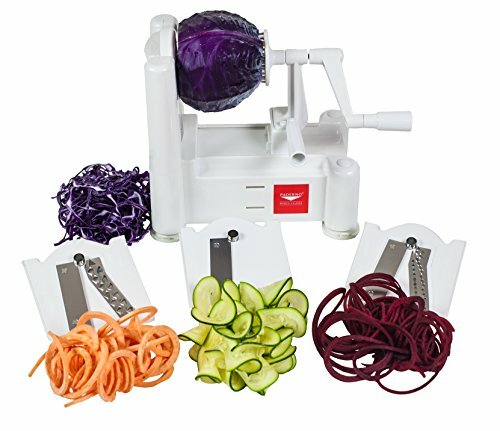 This makes it easier to serve and eat later. Add your zucchini noodles and fresh basil to the soup and stir to combine. Remove from heat and allow the soup to cook the "noodles" for about 5-7 minutes before serving. 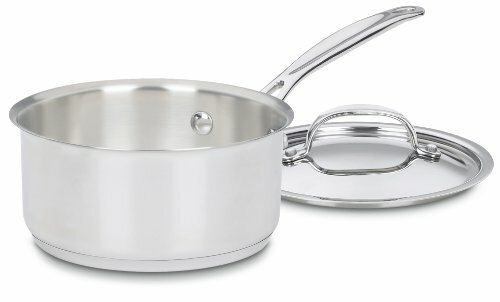 You can leave the stove on low to simmer during the remaining time, however removing it from heat allows it to cool just a little before serving it and the noodles to be al dente. I hope you enjoyed this recipe idea and if so please share it with someone! Did you try any new or old recipes this week that you can share? Comment below! I'm always on the look out for new recipes to try! Don't forget you can subscribe below if you haven't already so that you do not miss out on any future posts. You can view my previous recipe posts here, categorized to Whole 30 here, and categorized to Paleo here.